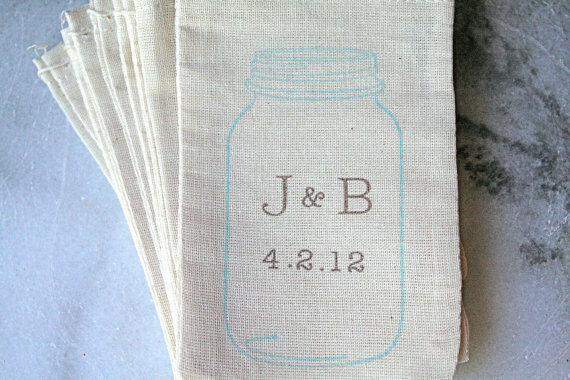 It really amazing the way good old-fashioned mason jars have made their way into the wedding world as a touch of something home-grown and comforting among the formal elements of a usual wedding. When we had our wedding almost 3 years ago, all of our flowers were in blue and green mason jars. BDT recently added a new design just for the summer! Each guest's fingerprints make up a firefly for that beautiful glow. 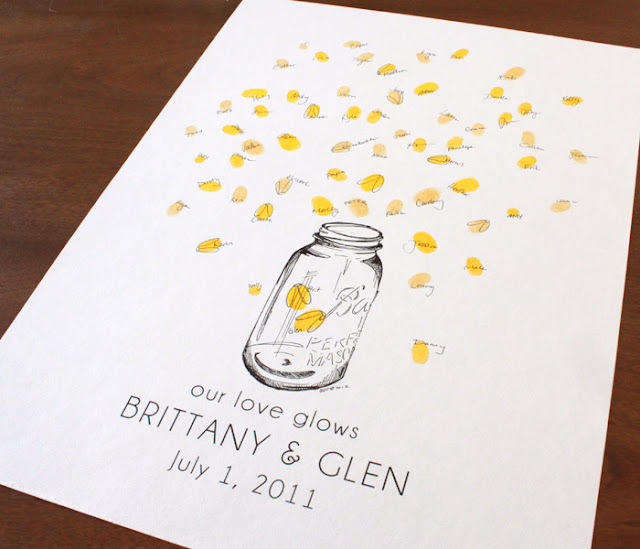 What a fun way to light up your wedding memories! 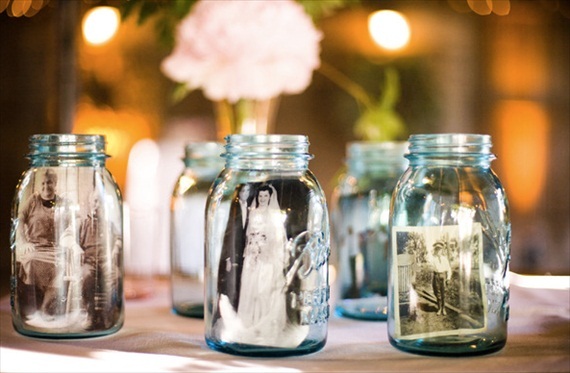 One of my favorite ways to use mason jars is in the ceremony. 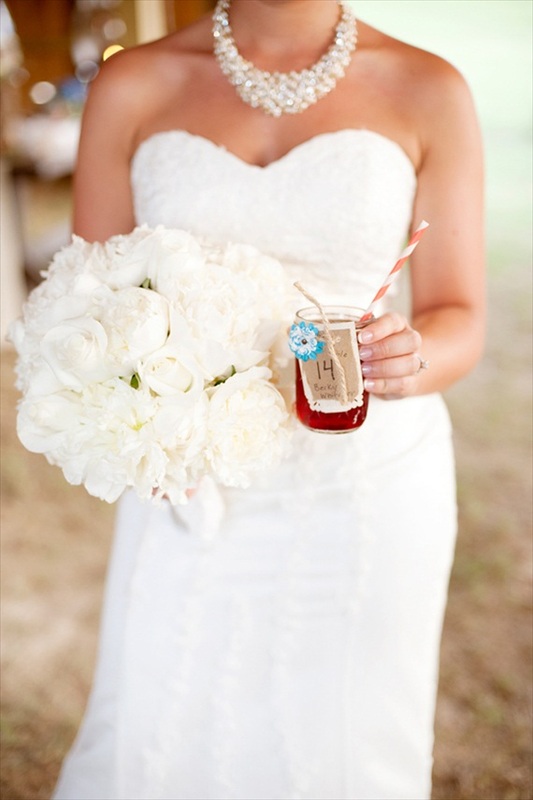 Decorate the aisle with hanging mason jar flower arrangements, as shown in this sweet example. 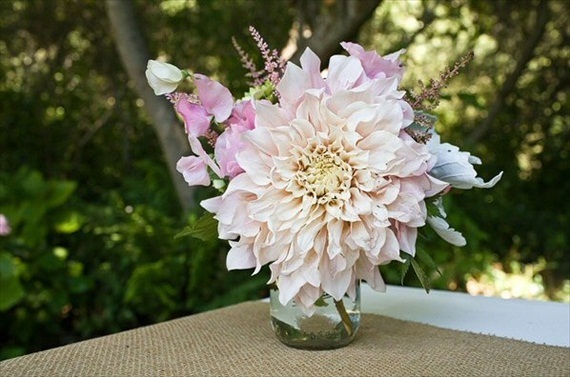 The easiest way to use a mason jar: a vase. Holy wow, these flowers are gorgeous by the way (beautifully designed by April Flowers). 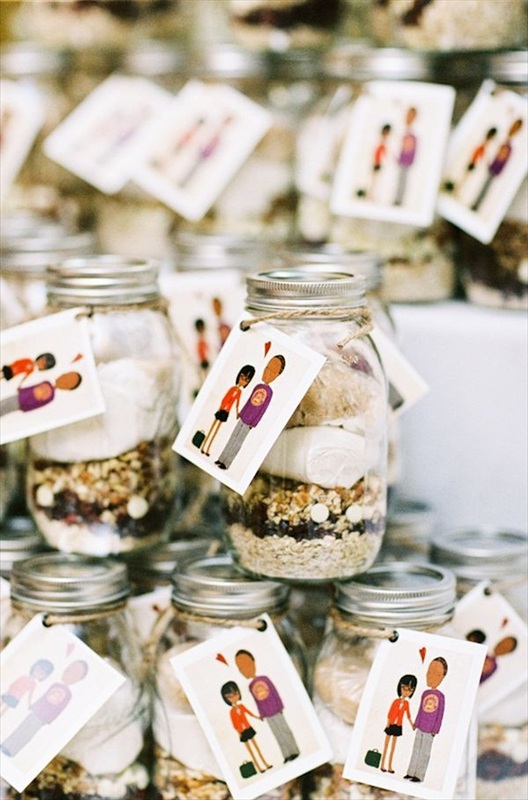 This is hands-down one of the cutest DIY ideas we’ve seen from a Real Wedding yet: mason jar cookie favors with illustrated tags of the bride and groom! 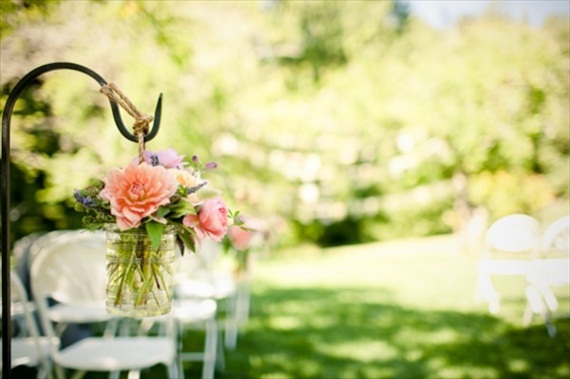 Check out the full wedding here: it is simply gorgeous. Another favorite? 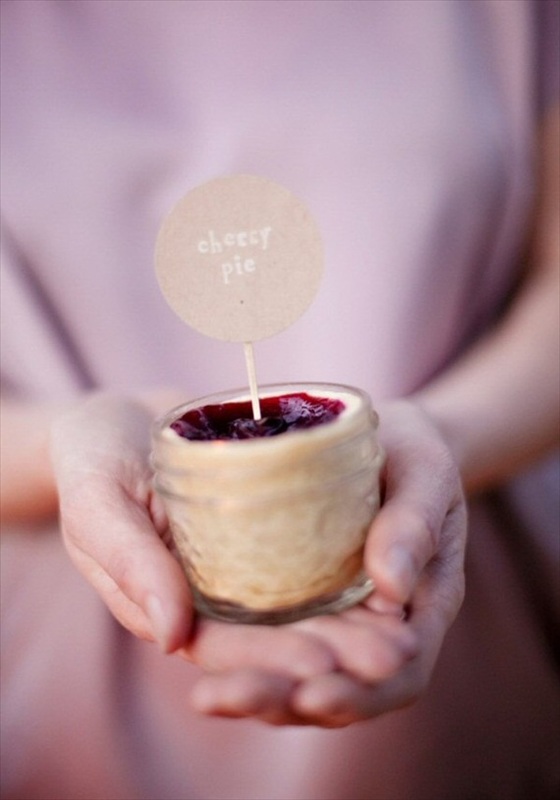 Cherry pie in a (smaller-sized) jar. Amazing. 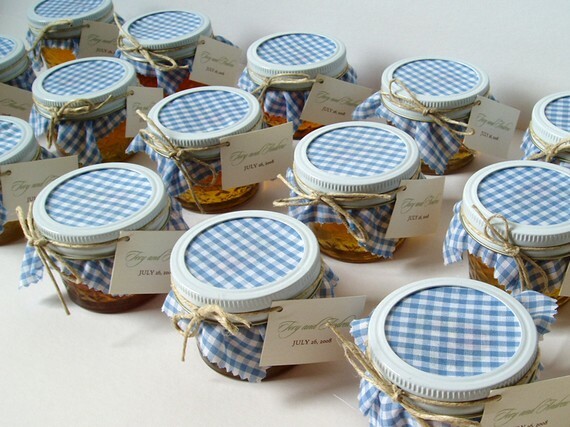 How about gifting candles to guests in delightful mason jars? 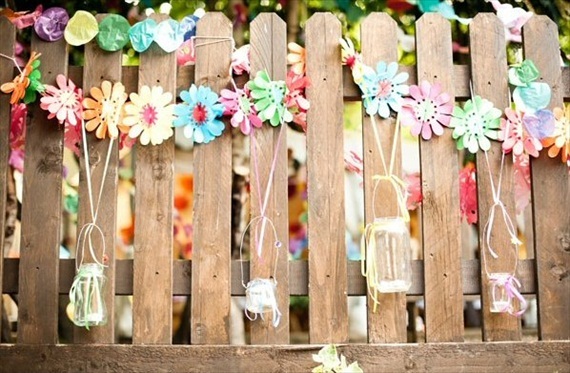 We love functional favors. You can also (easily!) 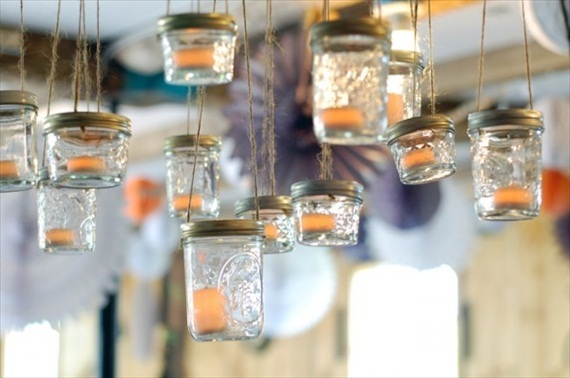 create your own mason jar lanterns for a romantic glow at night. 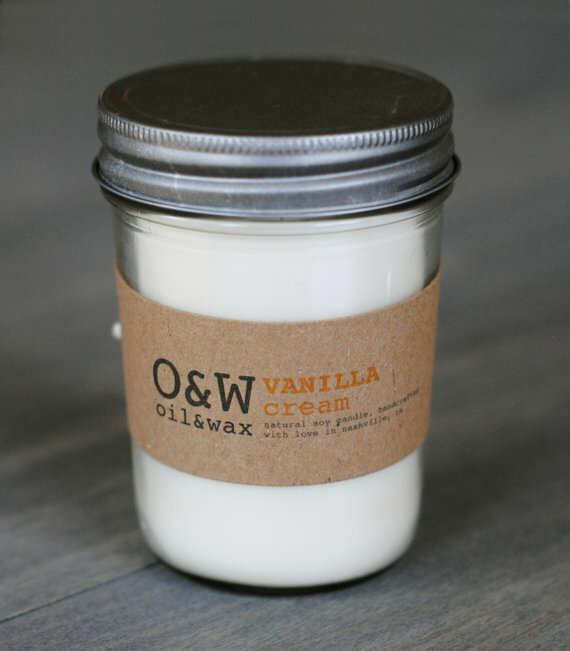 All you need is a mason jar + long-burning candle. Just place the candle in the jar (or use LED battery lights for less fuss) and place on each table near the centerpieces – of course, not too close where fire hazards could occur. 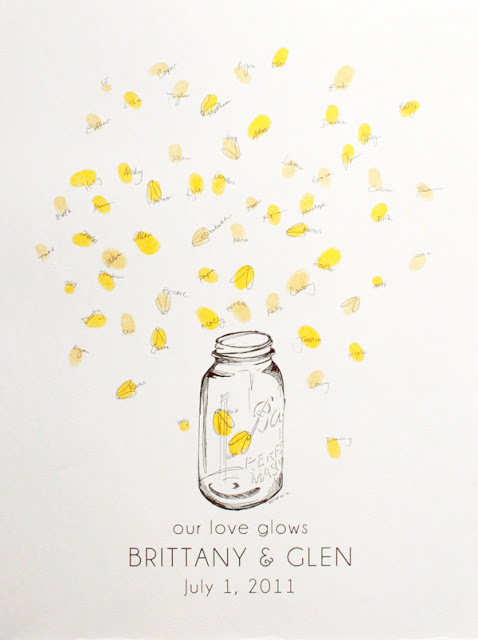 Last, but not least, use a new adorable mason jar firefly design exclusively from Bleu de Toi Handmade as a beautiful and memorable guestbook for your special day. You, and your guests, wont ever forget it! 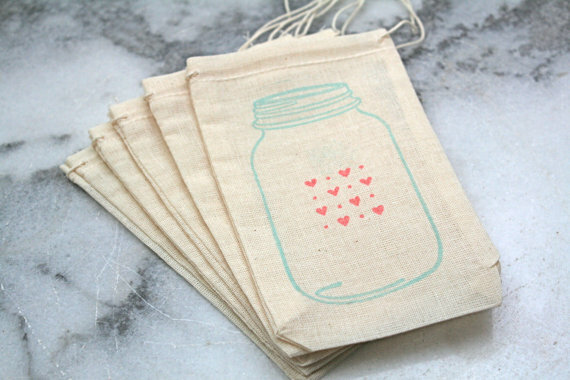 Want more mason jar ideas? Check out the full post at Emmaline Bride blog here!